Generalized joint laxity, also referred to as hypermobility syndrome, was described for the first time in the sixties of the last century. It is a group of disorders which have their origin in the failure of correct functioning of the connective tissue. 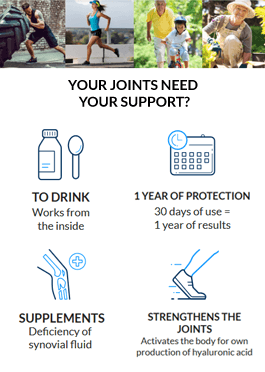 This disorder is inherited and manifests itself as an increased range of motion in the joints as well as the laxity of the ligamentous apparatus of joints. These symptoms may be accompanied by other changes within the musculoskeletal system and connective tissue. Etiologically the hypermobility syndrome belongs to a group of inherited disorders of connective tissue. There is an imbalance in the proportion of collagen I and III. Hypermobility is a dominantly inherited disorder and connected with the female gender. The frequency of the occurrence of constitutional hypermobility is about over a dozen percent of the population. This disorder occurs more commonly in women than men, it is also the most common in Asians, while less seldom occurs in whites and blacks. It mainly affects young people and the most visible signs of hypermobility can be noticed within this group. Clinically the constitutional hypermobility syndrome is characterized by symptoms originating in the musculoskeletal system, but not only. The most characteristic symptom of this disease is the ability to perform the movements of the joints in much more extended range, which is caused by excessive laxity of the ligaments and joint capsules. The most common of these movements is the ability to perform the forward bend with the hands positioned on the floor, setting a hand on hand on the back, or pulling the thumb to the forearm. This disorder is usually accompanied by pain, mainly in the area of the lower extremities joints , most often the diffuse pain , which may be followed by swelling and joint subluxation. The generalized joint laxity often leads to the abnormal posture of the body , including the kyphosis of the trunk, hypertrophy of the knee joints, as well as feet defects , such as flat feet and hallux valgus. People affected by this syndrome often have difficulty in maintaining one position for a long time, the tendency to hyperactivity, restlessness and wriggling as well as the sense of a lack of confidence and stability in the joints. Due to the hypermobility of joints and the associated change in body shape, people affected by the disease often show uncertainty during walking and running, they have a tendency to fall down and show poorer motor coordination than their peers. People suffering from hypermobility usually have a slim, petite figure which, with time, often changes into the obese form susceptible to the decreasing tolerance of loads. In this case, any movement causes fatigue and pain syndromes. Along with the occurrence of the hypermobility of the joints, there is an increased extensibility of the skin, which is usually thin, and the premature occurrence of wrinkles and stretch marks, as well as the tendency to the formation of uneven scarring, and even keloid formation. These people are often affected by another connective tissue disease - fibromyalgia. Also, there is a higher frequency of the occurrence of other diseases and disorders, such as increased vascular fragility, tendency to develop the varicose veins and herniation, as well as psychiatric disorders such as anxiety and depression.